HUMANS HAVE HEARTS, PLANTS HAVE ROOTS & WEEDS WANT EVERYTHING. For the first post of 2018, we will consider two of the biggest issues in everyone’s garden around this time of year, Weeds and Water. When you water the grounds surface you’ll find that a lot of that water evaporates before sinking deep enough to access the roots, this can cause the roots to ‘climb’ towards the grounds surface in search for water resulting in the plants rooting system to become shallow, (also known as Shallow Rooting) allowing themselves to become vulnerable to strong winds and the harsh sun exposure we get on the Gold Coast. Deep Watering is a method that favours the roots by watering for a longer period. 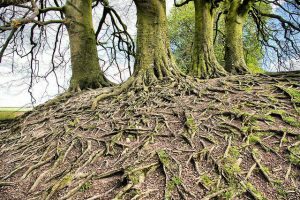 By doing this you are allowing the water to slowly sink below ground taking the roots down with it, this method will encourage the plants to develop a deep, strong root system and boost the plants overall health. Using this technique in your Summer Garden Maintenance routine will use less water as you only need to deep water once a week (depending on the type of plant) and you’ll know that the water is reaching where it’s needed most. The best time to Deep Water your plants is before the sun rises in the early morning, giving the water time to sink down to the roots instead of sitting on the soil surface and being evaporated by the sun. 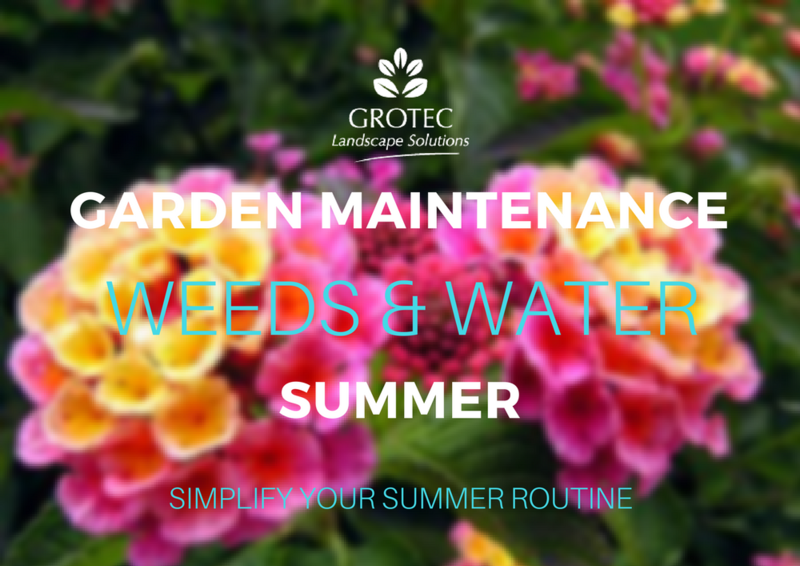 Alternatively, watering in the late afternoons is also acceptable however, you need to allow enough time for the leaves to dry before nightfall to prevent Fungal Diseases. Environmental Weeds, what are they? They are weeds that have invaded and adapted to our waterways, beaches, bushlands and backyards, they threaten our natural environments and are known for being selfish when it comes to resources & nutrients leading to the suffocation of our own plants in the garden, especially when it’s time for the yearly Summer Garden Maintenance, they know whats coming. Many environmental weeds have originated by being introduced as ornamental plants, most of them are not native to Australia but when they do grow here they advance and spread outside of their growing range. Being a very hardy plant that can survive under the most severe conditions, reproduce quickly and in quite large amounts, the succession rate of weeds is at an all-time high. Weeds being as adaptable as they are have allowed themselves to spread their seeds through many a different way such as animals, wind (especially on the canals and waterfronts) water and human activity. Lawnmowers are also another very efficient way for weeds to be transported and reproduce in different suburbs, how many households share lawnmowers or call in the professionals? Did you know weed seeds love hitching a ride on all vehicles and machinery, including lawnmowers! 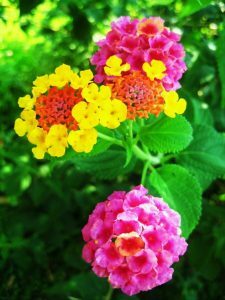 Weeds can also disguise themselves to appear like a lovely evergreen shrub, take the Lantana Camara for example, this colourful flowering plant is classed as an Environmental Weed and is restricted to grow, sell and even buy in the Gold Coast Region. Let’s talk about the different options when it comes to preventing, managing and removing weeds from a site. There are many ways to exile weeds from your garden, from the Natural & Organic like Solarising techniques and Yates Clove Oil, to the Chemicals & Herbicides such as Roundup AKA Glyphosate. Although some aggressive weeds have resistance to organic products and require stronger chemical-based solutions you should always work your way up the Herbicide ladder and try to avoid using Glyphosate due to the risks it places on the environment and human contact. I hope these tips help you smash out your Summer Garden Maintenance. Always read the warning & instruction labels before any Herbicide application and remember to always wear the correct safety gear.